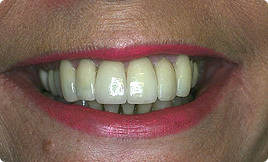 Porcelain Veneers can re-shape and brighten your smile. 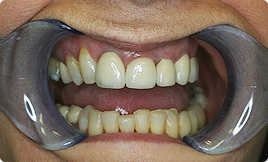 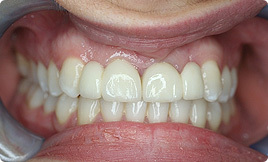 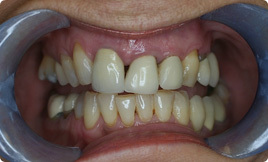 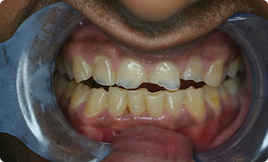 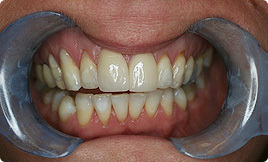 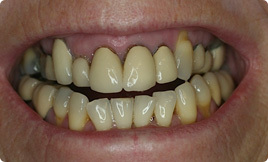 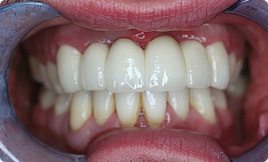 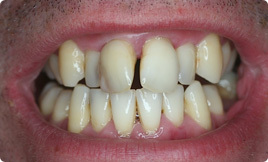 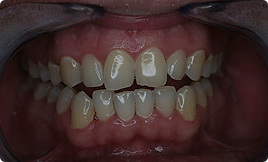 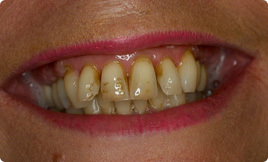 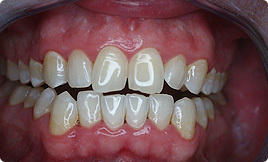 6 upper veneers shown. 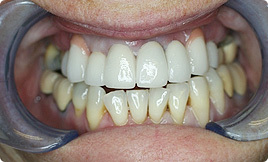 New crowns can improve your smile and gum health. 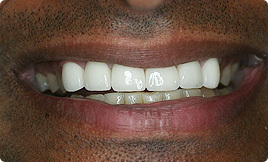 6 new upper crowns shown. 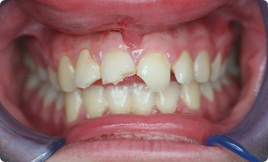 Trauma to old bridge and tooth repaired with a new bridge and crown. 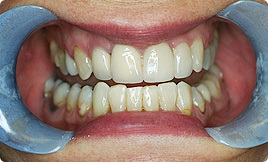 Old crowns and bridge replaced with modern metal free alternatives in combination with tooth whitening. 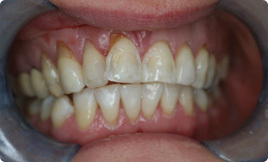 Decayed and misshapen teeth can be replaced by a bridge – 6 upper teeth on an all porcelain bridge shown in combination with tooth whitening. 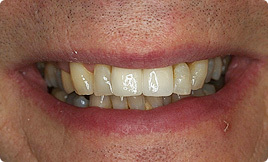 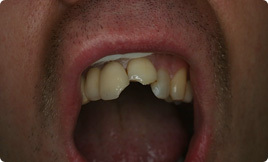 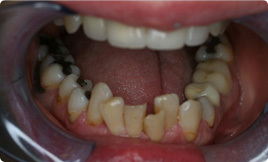 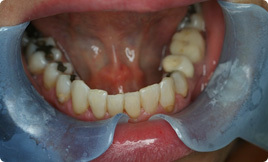 Dental implants to replace lost upper front teeth. 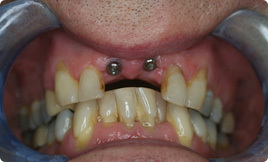 2 upper implants and all porcelain crowns placed. 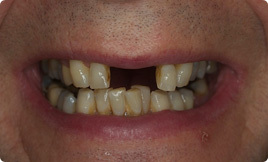 Old crowns look tired as gum recedes. 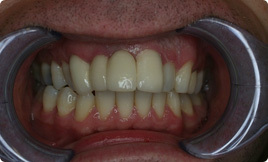 8 new all porcelain crowns shown. 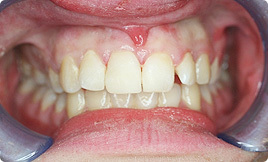 Trauma to front teeth can be repaired with composite filing – 3 upper composite filings placed immediately following trauma. 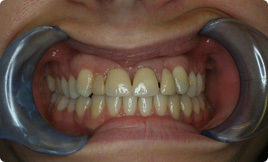 Crooked teeth can be straightened with Invisalign invisible braces without the need for any extractions.